While searching for a brave candidate to become a magical girl and defend the world from evil, a mythical creature finds Kayo Majiba, a cute young lady who seems like the perfect fit. 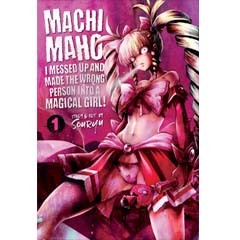 But when this newly turned magical girl proves to be a crude delinquent who goes berserk in a conflict, it becomes clear that this may have been a terrible mistake. Now evil—and any innocent bystanders—will face the rage of a magical girl gone wrong!